For connecting platinum sensors to a SPS or to PC-cards, measuring transducers are needed, which implement the resistance change of the sensor in a standard current or voltage signal. Our Pt1000 sensors are not included in scope of delivery, please order separately. The B+B measuring transducer modules are developed for this task and offer high measuring accuracy and long-term stability by means of an ASIC with an optimal price-performance ratio. 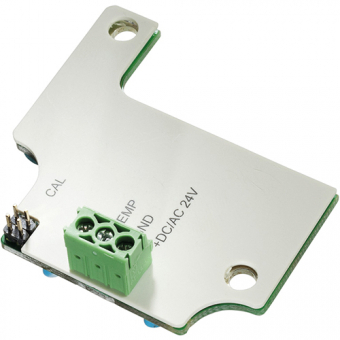 The module transforms the resistance characteristic curve of a Pt1000 sensor in an industrial standard signal 0…10 V (3-wire connection) or 4…20 mA (2-wire connection). 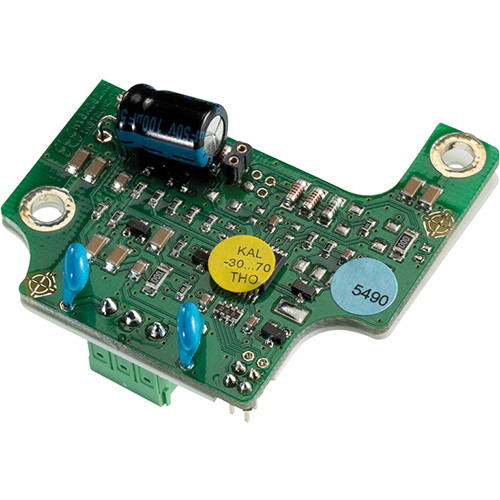 Therefore the operation of the sensor for example on a SPS voltage or current input is possible. The resistance characteristic curve of the sensor is linearized over a polynomial second order according to DIN 60751 and the measuring amplifier is temperature compensated. The electronic is provided for the installation in our housing PK 101, but also fits in other different housings. ***Calibration of customer-specific temperature measuring range. Please specify in next step your required temperature range as comment.